This is the Signed original Gouache painting by Giorgio Bellavitis. 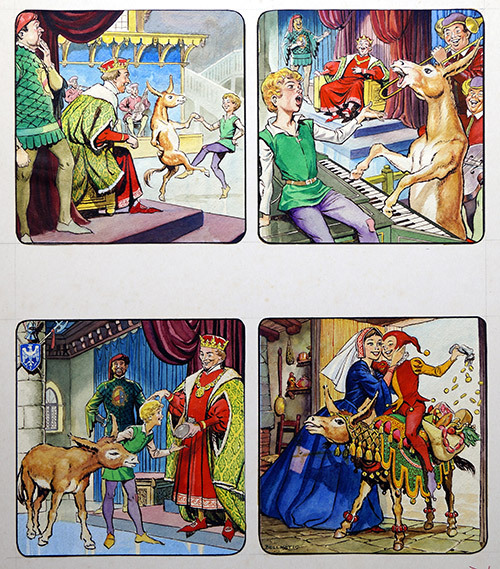 A singing dancing piano-playing donkey wins riches from the King to feed a poor peasant boy and his mother. 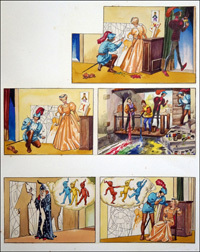 Four panels painted in the 1950's by the Italian artist Giorgio Bellavitis possibly for Playhour. The panels have been remounted for use in Baby's Own annual 1979. Beautiful strong colours.